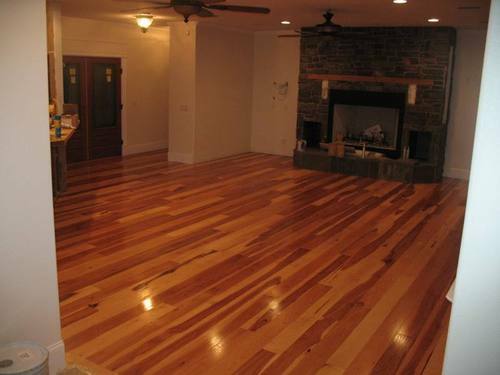 Supported by a team of veteran professionals, we are able to offer our clients Hardwood Wooden Flooring. Our team of adroit personnel performed the offered service as per the given detailed by our esteemed clients making use of best quality wood and decorating items with the help of ultra-modern techniques. Apart from this, our dexterous personnel performed their assigned task with perfect coordination to provide perfect and budget friendly service to our precious clients. Founded in the year 2015, at Navi Mumbai (Maharashtra, India), we “Indian Dreams & Designs” are the leading Sole Proprietorship Company, engaged in Manufacturing and Supplying a qualitative range of Customized Wallpapers. We also trade premium quality Wooden Pergola, Cladding Panels, Cladding Sheets, Wooden Plank and Modular Kitchen. We also offer the qualitative Cladding Services, Commercial Interior Designing Services, Residential Interior Designing Services, Pergola Designing Service, Wooden Flooring Service, PVC Flooring Service and Customized 3D Flooring Service in an efficient manner. We have a state-of-the-art infrastructural base which is equipped with advanced tools and requisite amenities.